I’m learning that it’s entirely different to attend a meeting in a leader capacity. The meetings are challenging to sit through. Unlike most meetings I’ve attended before, all stakeholders are included. This means representatives from development, product management, project management, test, support, consulting, sales and marketing are all present. Overall, there are both aspects of leadership I’m really looking forward to and aspects I’m dreading, here is what I have learned so far. Ephemeral computing is the practice of creating a virtual computing environment as a need arises and then destroying that environment when the need is met, and the resources are no longer in demand. You pay only for what’s used, when it’s used. The value proposition of ephemeral computing is hard to ignore. Yet, for all the benefit ephemeral computing provides, it does come with risks. Here are three essential skills you need to use this technology safely. The agile methodology focuses on building in quality from the beginning of the software lifecycle. That is why we aim to find and fix defects early on: A defect fixed in an earlier lifecycle phase is a multitude cheaper than the same defect at a later stage. How can we make it possible to prevent defects from percolating deeper in the software development lifecycle by fixing them in their nascent stages? Let’s explore ways to foresee, analyze and thwart defects in an agile context. Blockchain technology allows multiple people or devices that don’t trust one another to share trusted data. The way blockchain works makes it nearly impossible for a malicious party to tamper with the data without being caught, so it has been called “unhackable technology.” But is blockchain really unhackable? Let’s look at the security and privacy that blockchain really provides. I was working on a pretty tough project early in my career. Our tester-to-developer ratio was completely inappropriate for how we were developing software, especially right before we wanted to put out new software. We had three options: recruit and hire an additional tester, work to make our development process more effective and efficient, or both of those things. What is the right test-to-dev ratio, and how can you figure out what’s right for your team? 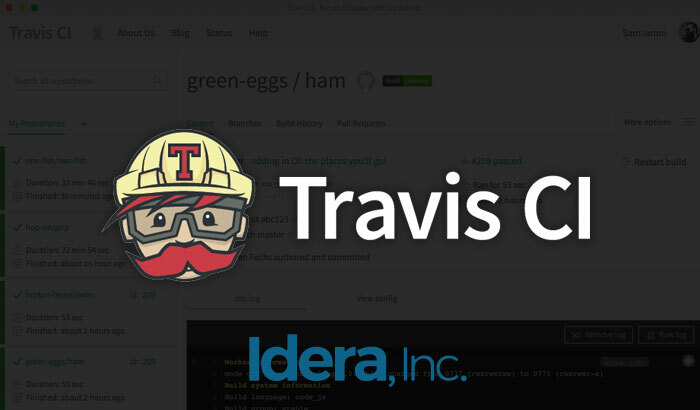 Idera, Inc. has announced the acquisition of Travis CI, a market leader in continuous integration. Travis CI will join TestRail in Idera, Inc.’s Testing Tools division, which also includes Ranorex and Kiuwan. Understanding the health of the software’s codebase can help you better focus your testing efforts. Static analysis metrics can help testers focus in on areas of the codebase to invest extra attention. There are a great many metrics available for measuring software. This article focuses on the five I’ve found most useful over a number of years in the industry. They’re listed below in reverse order. Many agile teams use the words, “Fail Fast.” I don’t know of any managers who like failure of any sort. The problem is that agile “failure” means we learn early. Many kinds of tests can help a team learn early. Testers are key to helping a team learn, by articulating uncertainty, by helping to gather information about the product under test, and by helping the team assess what they have learnt. My first experience with usability testing was on an agile team where the product we were building was being designed with the help of an in-house usability expert. Usability has matured a lot over the years. It’s now an essential software characteristic in today’s web and mobile applications. Let’s explore ways to stress its need, simplify performing usability tests and develop a mindset for usability when testing in an agile context. Modern software testers need to be comfortable with code. The days of testers not being able to open up a code editor and understand software fundamentals are thankfully vanishing. As modern testers, we need to embrace a new challenge. This doesn’t mean every tester needs to know the in-depth technical aspects of coding. Instead, we testers need to know enough to better focus our testing and better collaborate with developers.